Through stories about “Milwaukee’s Pacific Heritage,” “Holton Street from Both Sides,” “Milwaukee’s South Side Taverns,” a “Milwaukee Bus Ride” or “Mixed feelings at City Hall,” Kern hopes it’s an opportunity for people—inside and outside of Milwaukee—to get to know all aspects of this city better. “There’s no shortage of attention that this city has or will be getting for the next few years, between sports, national conventions and humongous industrial projects,” Kern says. The book shares residents’ perspectives on some of these national discussions, like a Greek basketball superstar in the making against an unlikely backdrop and a Sikh temple that moved on after one of America’s most notorious mass shootings. “But we’re not one singular city or person or food or type of cheese curd—there are many different types of cheese curds,” he jokes. In “The Milwaukee Anthology,” you won’t be taken to the Third Ward, on another brewery tour or to the Bronze Fonz statue. Instead, the pages will bring you to Riverwest, Sherman Park, the South Side, the Clarke Street School playground, Hmong New Year or the 7 Mile Fair. This book gathers the lesser-heard and necessary stories of the real Milwaukee today, in all of its hurt and hope. 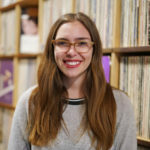 But in a city that is often labeled by separation, editor Justin Kern has brought together “some, but not the sum” of Milwaukee’s many dynamic and distinct voices. It's not every story; it couldn't be. 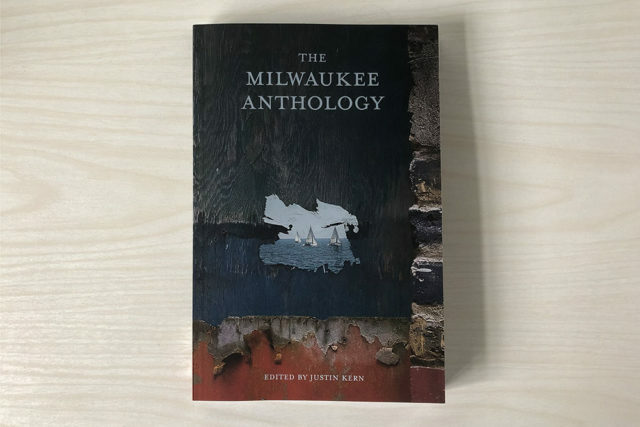 “The Milwaukee Anthology” is the most recent iteration of city anthologies from Belt Publishing, a Cleveland-based platform for diverse voices from the Rust Belt and Midwest. Through the editing process, Kern sought out submissions to complete the anthology. The submissions reflect the diversity of our city as much as one book could ever try to represent such a complex and rich place. Kern says this in the introduction, the only piece he wrote for the book himself. This is a civic duty, for all of us to get to know each other better. One of the pieces that sticks out in his mind that offers a glimpse of togetherness, even humor is “Everything Bruce Lee at the Seven Mile Fair in Orange” by Robert Earl Thomas. “It may sound really silly, but I think that flea market is one of the greatest things about our city and our area and our state because it’s the kind of place that everyone goes to,” Kern says. Thomas’ poem is a portrait of pop culture and immigrant cultures coming together in one unexpected, chaotic and uniquely Milwaukee place—the 7 Mile Fair. Throughout the story, Thomas writes about his life milestones, all marked by memories he has of the 7 Mile Fair. “The Milwaukee Anthology” is available online now and at Boswell Book Company in Milwaukee. And celebrate the book’s release at Boswell Books on 414 Day (whose creators happen to have an essay in the anthology about the Milwaukee holiday’s origin).